Cameron Van Der ‘Best’ Makes Young Sports Fans’ Day! 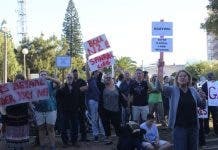 Two young and eager fans of sports sensation Cameron van der Burgh were bitterly disappointed today to not watch the South African swim in Singapore after hazy conditions caused Saturday’s FINA World Cup finals to be cancelled. They were all dressed up with nowhere to go. 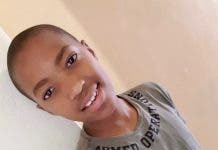 But their disappointment soon turned to joy after the swimming star – who won two Golds and a Silver in Beijing last week – took time out to tweet them a personal message. And, weather conditions permitting, they’ll get to see their idol tomorrow. And Cameron “quickly responded”, she says. The current haze is due to fires from Sumatra, Indonesia. A weather condition evaluation will be made tomorrow one hour before the heats and finals. 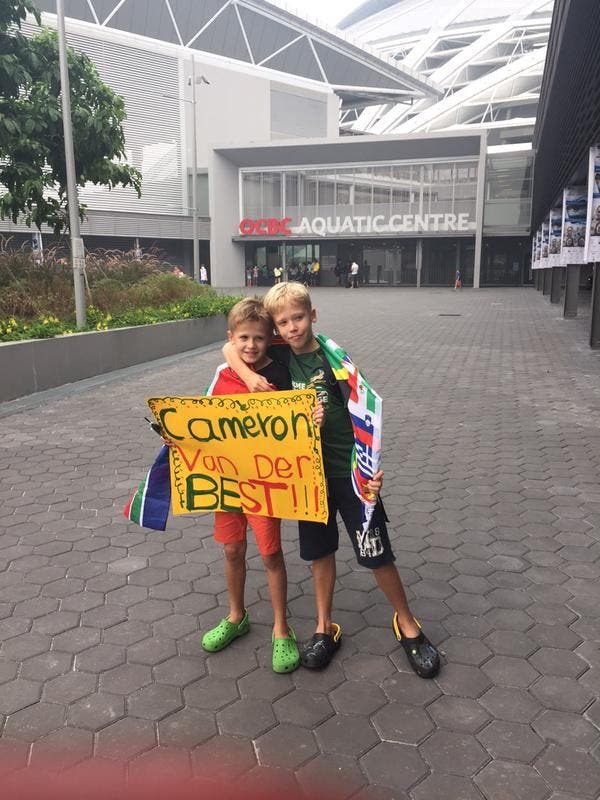 Cameron has been enjoying the support of his South African fans in Asia, tweeting from Hong Kong (where he won two Golds) on the 25th and 26th September that it was “awesome seeing Saffas in the crowd tonight” and thanking “Saffas out here supporting the swimming”. First Gong in Hong Kong and its Gold! Stoked with the World leading time too! Was awesome seeing Saffas in the crowd tonight!